Learn more about PULSE 2019 here. Watch chapterized event video from 2018. Innovation and medical breakthroughs have been a hallmark of a system that develops new cures and treatments every day. But America spends far more on health care per person than any other country – spending, that has not translated to better health outcomes. 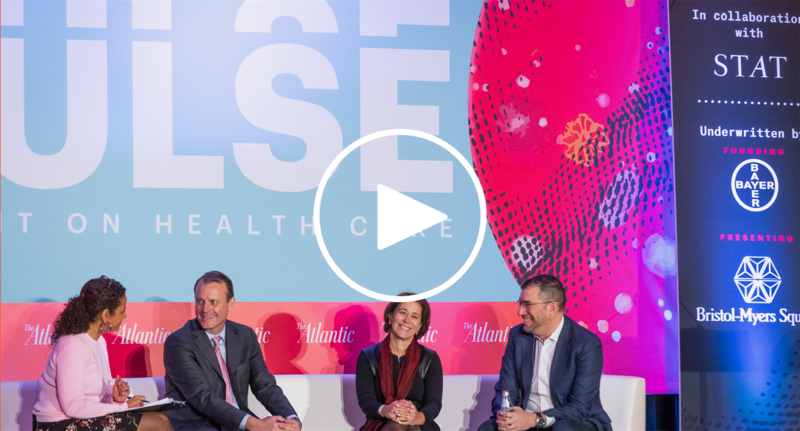 Drawing from leading thinkers across the country, in combination with Boston's revered medical community, The Atlantic brought together the brightest minds shaping health care today to explore the future of our health care system. What’s Next for Precision Medicine? *This speaker participated in a session that is produced by our underwriter and not by The Atlantic's editorial team. **This session was produced by our underwriter and not The Atlantic's editorial team. © 2018 The Atlantic. All rights reserved.